Together with Thermotec South East Ltd., Comber & Son have entered into the Biomass Boiler Systems market. 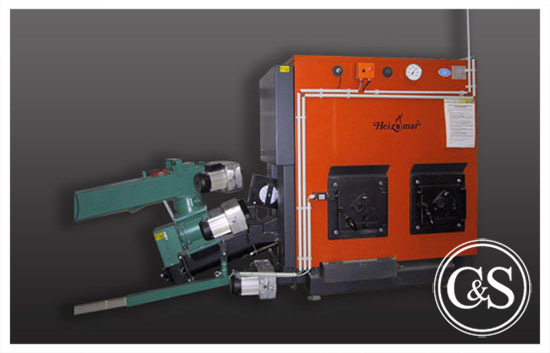 Biomass Boiler manufacturer, Heizomat, develop systems of the highest quality and these German engineered products are now available across the South East of England. Thermotec South East can supply and install the whole range of Heizomat boilers and Woodchip & Pellet delivery systems, as well as the specialist chippers that process the raw material into an ideal fuel source. Biomass gives farmers and other commercial users a chance to slash their heating bills, particularly if they currently rely on oil-fired systems, as well as the opportunity to benefit from the government’s latest ‘Green Energy’ subsidy, the Renewable Heat Incentive (RHI). Comber & Son have a longstanding association with the Chiddinglye Estate in West Hoathly, West Sussex, where Thermotec South East is based and in conjunction with Thermotec South East, Comber & Son install the Biomass Systems and carry out associated Boiler House construction and groundworks.